Field service software is an investment you make in your company, so you should make sure you get the most out of the experience. Consider ROI when weighing the costs and benefits of integrating your company with field service software. When you fail to use the software’s full capabilities, you fail to maximize your potential ROI. Your software should help with all aspects of your business, from scheduling and dispatching technicians to invoicing and taking payments in the field. If you use your software to its fullest potential, it could even help you improve relationships with your customers by streamlining your business. If you utilize every feature of the best field service software, you maximize your ROI and potential gains from your investment. To make sure your software operates as efficiently as possible, make sure it has these features and that you use their full capabilities. The three most attractive features of field service software for many business owners are scheduling, dispatching, and workforce tracking. Traditional dispatching systems tend towards inefficiency, with technicians experiencing more down time than needed between projects and wasting time by checking in with company dispatchers between jobs. With field service software, you can avoid technician downtime by dispatching jobs digitally—before your team’s shifts even begin. 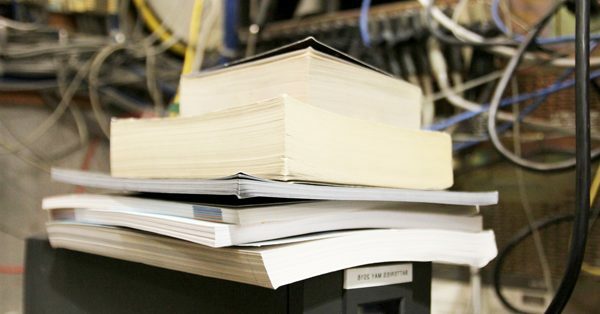 Cutting down on the amount of time it takes for each technician to physically report to the office to pick up their schedules can jump start productivity. Who knows? You might even create enough time to work in one more work order every day. Additionally, tracking your workforce provides an excellent way to make sure that they do not run personal errands on company time. With GPS tracking and smart navigation, your technicians automatically get the best route to the next project they have for the day. When you see your trucks at unrelated locations like retail shopping plazas, that’s when you can have a conversation with your technicians about the expectations of the company. Between vacation time, sick days, and the regular business of the work week, it is difficult for larger field service companies to get all of their employees on the same page the old fashioned way (by calling a meeting or posting an announcement in the company’s office). Field service software allows you to make company announcements to all of your technicians in the field. This means that you can keep them up to speed on things happening at headquarters. This feature works for many different announcements. For example, let’s say that a field technician needs to take their FMLA leave for a family emergency. An emergency like this leaves little time to prepare. Making your whole company aware of the tech’s absence and encouraging them to pick up overtime to compensate for the lost hours becomes simple with a company-wide notification system. Tracking inventory across a fleet of trucks and storage spaces becomes difficult without buy-in from technicians. The Smart Service multi-truck inventory module can help. When your company enables your field service technicians to update the inventory in their truck and inventory in your warehouse as part of their regular workflow, it reduces the hassle for everyone involved. Good technicians tend to stay booked. Field service software makes your routing and dispatching more effective, allowing technicians to get to more jobs with ease. However, changing bad habits when it comes to tracking part usage on jobs is a little trickier. By linking parts use on each work order to your live inventory database, you can eliminate the need for technicians to track parts in their trucks the old fashioned way. When technicians add parts to work orders (for example, an HVAC technician using a compressor and gas valve to repair an AC unit), these actions sync to your parts database to show those items removed from their truck inventory. 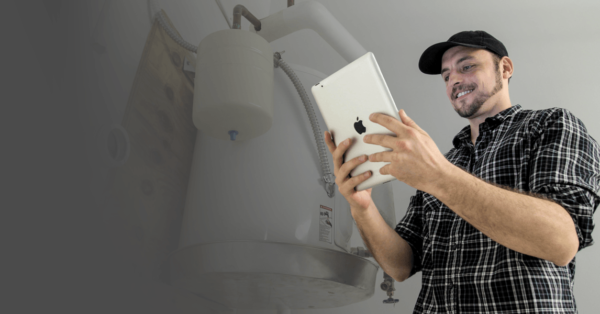 Simply filling out work orders with field service software can help maintain accurate inventory records, cutting down on overhead. As an owner, you have to know when to reorder parts, one of the trickiest things about running a field service business. With inventory tracking as part of your field service software, reordering the parts you need when you’re running low becomes much easier. The Smart Service inventory module allows you to monitor parts usage. When your reserves of parts start to get too low, the software allows you to create a purchase order. When the parts arrive, you can easily assign them to the warehouse or service vehicle most in need. Many field service software companies don’t offer all the bells and whistles when it comes to advanced features, requiring you to use multiple platforms to complete different functions. Good software allows for seamless integration. For example, Smart Service field service software provides the ability to integrate your base software with dispatching software, QuickBooks, and field sales software. More than 3.7 million small businesses use QuickBooks to manage their accounting. A field service software that integrates with QuickBooks represents a crucial element of efficiency. If you can’t seamlessly schedule jobs, create invoices, and put data into your system, how much is your field service software really doing for you? Integrating field service software and QuickBooks gives you the ability to import existing customer data, pair job scheduling with invoicing, and collect payment in the field. The ability to integrate dispatching jobs with scheduling and QuickBooks constitutes another important component of a complete field service software suite. With field service dispatching software, you simply need to find an open technician, add the customer’s name, and watch as the software pulls in the rest. The dispatching software will also find the best time for the job, taking the previously scheduled route of the technician into consideration. With this feature integrated into the core of your field service software, technicians will have full control. They’ll collect payments in the field, access their schedules remotely, and complete work orders. Office employees will enjoy real-time communication with technicians in the field, eliminating paper requests and schedules as well as the need to play phone tag with field workers. Field service software can also help your sales team in the field. By using field sales software, your sales team can improve the conversion rate for closing leads, improve response time for consultation requests, optimize sales routes, and more. These features will help you get the most from the software you invest in. 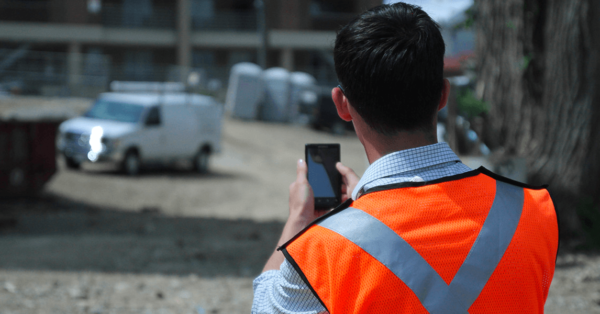 While this software was originally created to help with field service management, if you use it to its fullest extent, it can significantly impact your business to where it improves customer relationships. A variety of different assets in good software can help your company improve customer relationships and further grow your business. When employees show up late to the job, get double booked, or cancel an appointment, it reflects poorly on the company, even when the blame doesn’t rest with the tech. These types of mishaps can negatively impact a customer’s perception of the technician and company, often leading them to seek service elsewhere. Stay competitive by ensuring your team stays on their A-game when scheduling appointments. Field service scheduling software can help with this. As previously mentioned, field service software can help when scheduling workers so their routes remain optimized for location and work type. The scheduling feature of field management software allows office employees to get real-time information about the location of field workers, how much time remains on a job, and where the next stop awaits. This gives anyone who schedules customer appointments the ability to work around the routes and current work scheduled. With improved scheduling efficiency, you’ll no longer accidentally double-book a technician for a job, give work to a busy technician, or schedule an appointment far outside a tech’s route. While customers may not see the inner workings of how this happens, they will notice and appreciate the efficiency. By respecting the customer’s time, you may create a repeat customer that could also recommend your company to a friend or family member. If you use field service business software integrated with a CRM, you will have all the tools at your fingertips to improve customer relationships and communication. Different types of field sales software exist today, but you’ll want to make sure yours can help with some of the most basic tasks. Take advantage of the sales tools provided by field service software to stay up to date, close deals, and up-sell current clients. Use your software to give timely responses to consultation requests and appointment requests. By responding quickly to a potential lead, you increase the likelihood of a conversion. With field service software, you can receive notifications for requests and get automatic reminders to follow up with leads at certain points in the sales process. The more you follow up with a lead, the more likely they will convert. Other features help technicians and salesmen in the field. When your team rolls out, use the field sales software to check out which other prospects live/work in the same area. This knowledge allows your sales team to optimize their sales routes, take advantage of downtime before or after meetings, and maximize the work day. If your team needs a visual aid in a pinch, our field service software helps with that. Don’t have wifi to access your information? Get a field sales software that keeps data stored locally via Dropbox integration. The best field service software offers all the tools you need in one convenient application, improving communication internally and externally. Improving internal communications always helps improve customer relationships, but your external communications remain important as well. If a technician shows up to a job, and the customer wants or needs additional services or wants to adjust something on their account, there can be a huge delay if your technicians have to call the office and do the back and forth. Field service software can get up-to-date customer information and give a quote in the field. The office will have real-time access to this data and vice versa. This gives the customers instant satisfaction, improving your relationship with them. If a customer calls in a last-minute or emergency job, your office will dispatch the job while still on the phone with the customer. This also gives instant satisfaction to your customer. With field service dispatch software integration, you can bring the communication full circle to billing and invoicing. Techs using the software in the field can complete work orders in real-time, sending invoices almost immediately following the job. Although field service software optimizes technician routes to make sure they don’t mismanage their time, on occasion things will pop up and technicians may arrive late to a job. Customers get impatient sometimes and will call the office to get an update. With traditional methods, you’d have to put the customer on hold, call the technician, and then relay their information back to the customer. Use your field service software to track your employees and give real-time updates to customers should they ask for an update. Improving customer relationships will not only help you retain your current customers but help with new ones. Your customers are the best marketing tool you have. Putting your best foot forward can give your company a leg up on the competition. Word of mouth remains extremely powerful. Use your field service software to help. When your customers see an efficient company that pays attention to detail, shows up on time, and responds quickly, they will likely refer you to others. This can only help grow your business, the ultimate goal of integrating your company with field service software to begin with. Make sure you are getting the most out of your software by making it work for you.